Patso is a sports enthusiast and owner of YouTour, a local tour operator based in Lisbon with which RunQuest Travel has partnered. 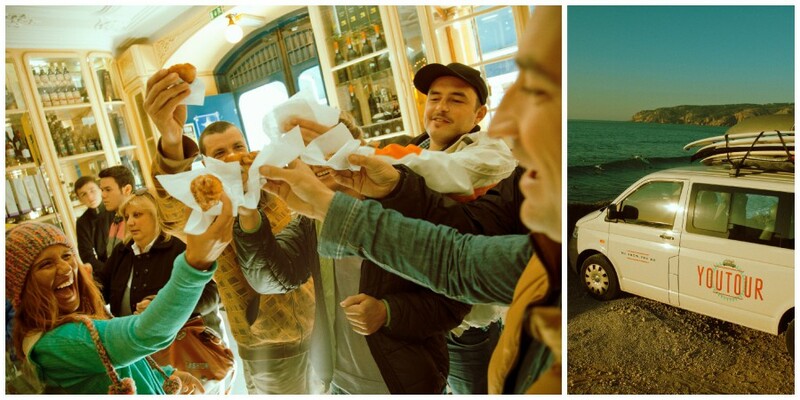 He will serve as your local guide the first two days of your trip to Portugal in the Lisbon and Sintra areas. He speaks numerous languages including English, Portuguese, Spanish, German and Russian. He's excited to host runners as he has long loved a variety of sports. He has been a professional snowboarder and bicycle racer. In 2005 he survived a stint working as a Pizza Hut delivery driver in Bulgaria so you can trust he has you covered as a driver. He has also worked in production of films and commercials. He is friends with the owners of Living Lounge Hostel and works there part time. Sofia loves sunshine and surfing. She lives in Lisbon and shares ownership of YouTour with Patso. She is an extravert as well as a people person. She gains her energy from the people she meets and loves working in tourism because she is inspired to make people's trips magical. She always greets people with a warm smile and its hard not to feel energized about life around her. She just had a baby this past year and she is loving the role of being a mother. She will be preparing our Sintra picnic lunch which is amazing and hopes to greet guests at the airport.